Proudly Supplying and Servicing all Major Brands, such as.. 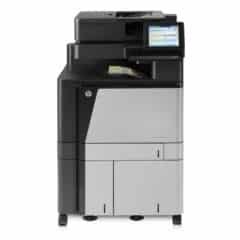 Global Office Machines are specialists in finding the right printer for your business, whether you are small, medium or at enterprise level. We are proud to offer the largest range of printers for sale in the Sydney area and with experience repairing and maintaining printers and photocopiers since 1996 can give you expert advice on which type of printer is best suited to keep your business running efficiently. We have more the a dozen of HP printers on sale that you can choose of! Our online prices beat any shop, period. Our diverse range of printers for sale includes laser printers, plotters and wide or large format printers, many of which boast multifunction capabilities such as copying and scanning to boot. We don’t only offer the largest range of printer on sale that you can buy, but we have specific printer sale promotions as well. Are you a design professional who needs a heavy-duty printer to be able to do your job? No worries! Our Large Format Printers for Sale will surely satisfy your needs! If you are looking for a reliable printer, you should check out our laser printer sales to get your printer at the best price!